Esther Greenwood is an intelligent, young woman earning herself an internship at a magazine company in New York. There she befriends her co-workers and live a fast paced life. This eventually crumbles and she is forced to return to Massachusetts, her hometown. She is unable to pick herself back up and soon loses her only identity. In trying to find herself, Esther's mind begins to derail. Plath is an exceptional poet and her writing does not disappoint in The Bell Jar. I was unsure as to how a poet was going to transfer their talent into a longer form of writing but that concern quickly faded. Her writing flowed at a pace that taunted with your emotions. What made The Bell Jar so amazing was how perfect Plath's explanation for "the bell jar" is. It's a feeling that could never have been put into words yet, Plath delivers a story that exemplifies its meaning exceptionally well. It's this feeling that most, if not all, of us experience at some point yet, can never determine what it really is. That is until you read this. There's this dawning moment where I was like, so that's what it is. 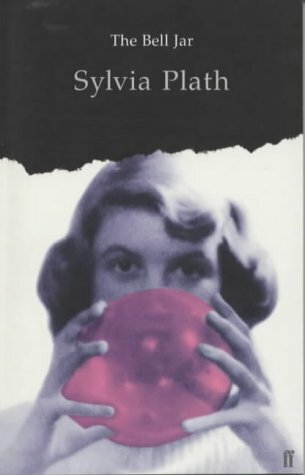 The novel is set during the Rosenburg's trial and execution (1950s) yet, Plath mainly focuses on the world that exists inside of her character. In Esther's recounts, it is predominately a reflection of the self. It portrays how consumed humans are in our own thoughts, not much else is noticed. So that when such a historical mark is made in US history, the character is not concerned about. Likewise, whilst characters are introduced they never linger. Readers don't even hear about them again once Esther moves on. Except for Buddy Wilkinson who I suppose triggered such a strong emotional response that became embedded in her. Even then, her thoughts of him was never in a positive light. The characters only sat on the fringes of Esther's world and most became a catalyst or reason for Esther's decisions. The entire novel is frighteningly relatable. What starts as normal spirals into chaos, and revelations only lead to break downs. I found Esther a very likeable character despite her damaged mind. She sort of became a mirror that reflected thoughts or emotions that seemingly creep out during moments I least expect. I think that' what I enjoyed the most. Finding a novel that expresses everything you cannot say. There's an instant connection. The Bell Jar contains a lot more meaning than what my hurried reading has picked up. Its a novel you can barely grasp a hold of unless you constantly churn the thoughts through your mind and revisit it. I plan to, once it's not so fresh in my mind. I know there is much more I could've picked up on but what I have discovered is already satisfying. It leaves you with a lingering nostalgic feeling and somehow rainy days don't seem so bad after all (how poetic). Sometimes there's also moments of "well, that escalated quickly". Plath has contributed with an exceptional piece to literature and there is no reason to not read The Bell Jar. You won't regret if you do, trust me. It has quickly climbed into my top 10. I would love to spend this entire post discussing it but then I'd spoil it. Just read it, that's all I'm saying. It's an eye opener - definitely life changing.